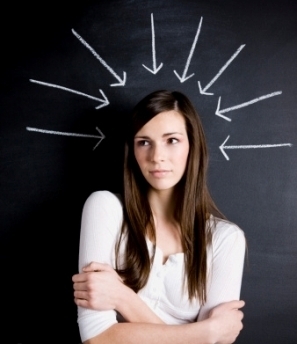 Social Anxiety, also called social phobia, is described as an intense fear of social situations. Social anxiety is considered to be one of the most common psychological disorders and it tends to begin in the teen years but can also occur in children. As a matter of fact, many adults with social anxiety report that they can remember having had problems in social situations for their entire lives. Studies have found that social anxiety is related to problems in childhood that include school refusal, separation anxiety and shyness. Left untreated, social anxiety tends to worsen and become chronic and it can contribute to the development of other psychological problems, such as depression and substance abuse. Social anxiety is diagnosed when anxiety in social situations becomes so intense that it causes significant problems in a person’s ability to function at work, in school or in relationships. People with social anxiety tend to be overly concerned with making a positive impression on others but they lack confidence about their ability to do so, which in turn leads to an avoidance of social situations or implementing safety behaviors if the stressful social situation can’t be avoided. Ironically, it is these safety behaviors as well as the avoidance of feared social situations that not only keep social anxiety going, but actually help to strengthen it. With social anxiety, physical symptoms of anxiety (e.g., blushing, shaking, dizziness, racing heart) coupled with thoughts, beliefs and predictions about the situation (e.g., “it would be awful to make a mistake in front of everyone”, “everyone must like me and think well of me”) as well as the behavioral component of anxiety (e.g., having several drinks before the party, wearing heavy make-up to hide blushing) all interact with one another. For example, the sensation of blushing can make the person with social anxiety think that everyone at the party is noticing that she is blushing, which triggers an increase in anxiety and makes the person want to avoid the social situation in the future. Fortunately, treatment for social anxiety using cognitive behavioral therapy (CBT) has been identified as an empirically-supported method of treatment. Numerous studies have found that individuals with social anxiety experience significant reduction of symptoms and achieve a better level of functioning in social situations. CBT teaches us that social anxiety is not caused by situations and events, but by our thoughts and beliefs about these events. 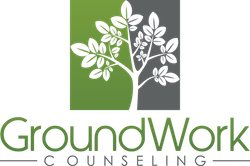 At GroundWork Counseling in Orlando, our therapists utilize effective treatment strategies that incorporate cognitive and exposure methods that are designed to target the components of anxiety and fear in social situations.